Two of Mitsubishi's newest models, the 2010 Lancer Sportback and 2010 Outlander crossover, will be offered through a low-lease plan but not the 0 percent financing. 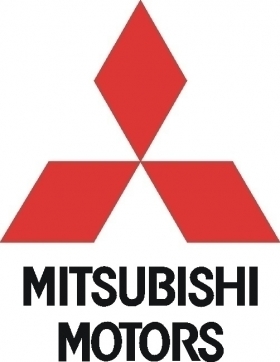 TOKYO (Bloomberg) -- Mitsubishi Motors Corp. lowered its second-half net income forecast 17 percent because of the yen's strength. The automaker expects net income of 19.9 billion yen ($245 million) in the six months ending March 31, compared with an earlier forecast of 24 billion yen, according to a Bloomberg calculation based on the company's first-half earnings statement today. The automaker said last week its first-half loss narrowed to 4.9 billion yen from 36.4 billion yen a year earlier after sales increased. The company had forecast a 9 billion yen loss for the period. Mitsubishi Motors kept its full-year profit forecast of 15 billion yen as a stronger Japanese currency may cut full-year operating profit by 35 billion yen. The carmaker revised its full-year currency outlook to 85 yen to the dollar from 90 yen, and 113 yen to the euro from 120 yen. For the fiscal second half that began Oct. 1, the automaker based its forecast on an exchange rate of 82 yen to the dollar. Separately, Hino Motors Ltd., Japan's biggest maker of heavy-duty trucks, lowered its full-year net income forecast today by 27 percent to 8 billion yen.